When starting your research for your next water filtration solution, you might look to product reviews on Amazon, or create your own product comparison spreadsheet. Maybe you trust water quality dealers, science journals, and research panels. Or maybe you look for certification seals from third-party experts. The leader in water filtration certification NSF-International. Additionally, there are other third-party scientific experts who independently test to meet NSF Standards, like The International Association of Plumbing and Mechanical Officials (IAPMO). For those that value the work of scientific rigor and independent testing, this matters. So much so that there is a small blue circle with the letters NSF printed on much of our own Aquasana packaging, like our owner’s manuals, boxes, and more. That badge is validation, proof that our product does what we say it does, and that we engineer our filters with honesty and integrity. Products are rigorously tested in NSF labs, according to set standards and certify only products proven to do what they claim. NSF certifications are given for individual standards. The first NSF standard for drinking water was set in 1973. 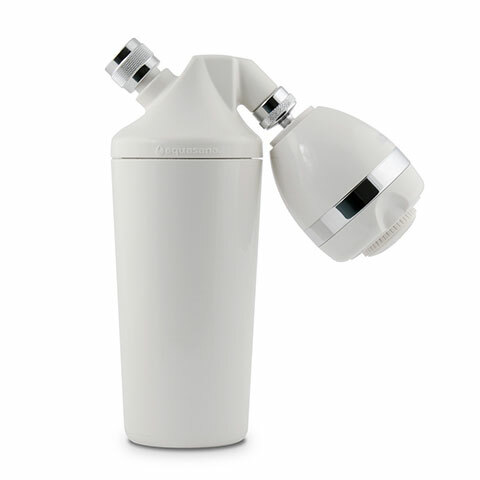 Reduces non-health related contaminants – Chlorine, taste, odor, and particulates that might be in your drinking water. Reduces specific health-related contaminants – cryptosporidium, giardia, lead, and volatile organic chemicals (VOCs). Reduces contaminants that can be removed through reverse osmosis filtration – hexavalent chromium, cyst reduction, arsenic, and nitrates/nitrites. When a water filtration system removes up to 15 individual contaminants such as prescription drugs, over the counter medications like ibuprofen and Naproxen, herbicides and pesticides, as well as other chemical compounds like BPA. NSF was the first to develop a standard for the reduction of perfluorooctanoic acid (PFOA) and perfluorooctane sulfonate – chemicals used to make non-stick cookware. 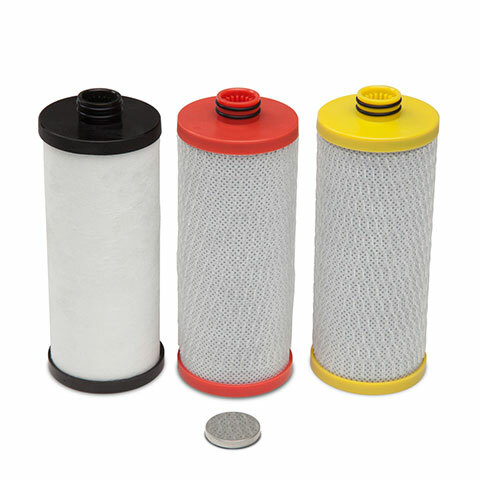 Aquasana filters were the first to earn certification under this standard. Founded in 1926, the IAPMO Group (or, the International Association of Plumbing and Mechanical Officials) is an independent organization that develops and tests to certain energy codes, to meet needs both nationally and internationally. They can certify products based on their own set of standards, or they can also certify products to other externally-mandated standards, like the NSF. proud to have our products tested by the NSF or to NSF Standards, far beyond what’s needed to put that little blue circle on the label. For example, our OptimH2O Reverse Osmosis system is NSF certified to reduce 88 harmful contaminants including Chromium-6, earning it a feature on the Today Show. The 3 Stage Under-Counter system, Clean Water Machine, and our Countertop Water Filter are all certified to reduce up to 77 contaminants. 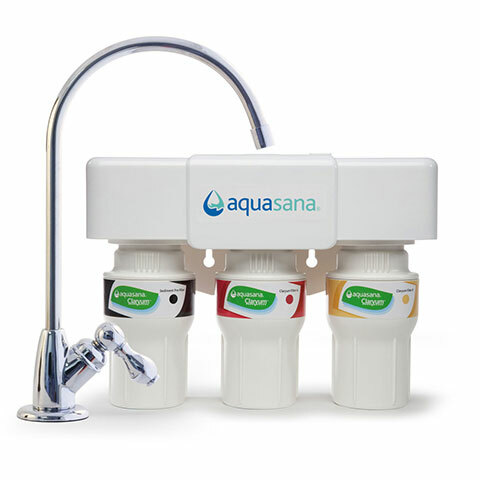 Additionally, Aquasana was the very first water filtration company to have drinking systems that are certified to remove PFOA and PFOS. Our OptimH2O Whole House Lead Filter, is a first-of-its-kind system, IAPMO certified to NSF/ANSI Standard 53 to reduce more than 99% of lead and cysts, and NSF/ANSI Standard P473 to reduce 98% of PFOA/PFAS, as well as chlorine, chloramines and more for the cleanest, healthiest water throughout your entire home. Learn more about the NSF Mark here. Aquasana will continue to lead the industry by engineering and earning our product certifications that meet the NSF’s rigorous standards. We will be on guard against whatever pollutants and contaminants are threatening our water, and continue to be the best solution to aging water infrastructure, so you can experience the cleanest, healthiest water, and peace of mind for your whole family.